This is one of my favorite creations yet! 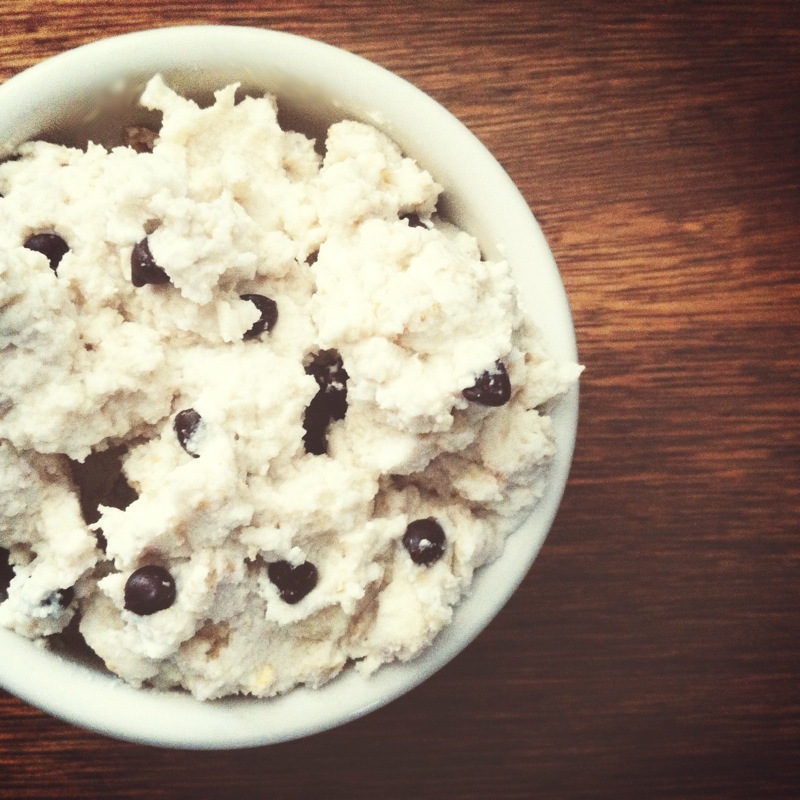 Whenever I am having a sweet craving I make this “cookie dough” . It’s perfect for satisfying that sweet craving without feeling guilty. 1 1/2 teaspoons of dark chocolate chips, or carob chips. mix all ingredients in a container & enjoy ! This is meant for simply for eating, I have not baked this dough, and don’t recommend trying to 🙂 it probably would not make a pretty cookie! Hi there! I just found your blog after stumbling on those adorable lime margarita cupcakes on Tastespotting. I am so glad I did because I already love all your recipes. I love healthy alternatives and clean eating…I might fall into a food coma with some of your posts. 🙂 This faux dough looks delish. I can’t wait to poke through the rest of your blog. Thanks for sharing!